Lost things. Clutter everywhere. Wasted time. No wonder you’re overwhelmed! 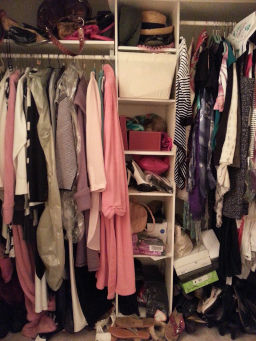 Is disorganization stealing your time and sanity? 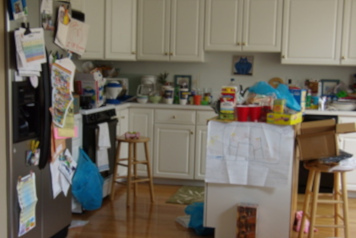 Do you come home to a messy house and feel like leaving…for good? 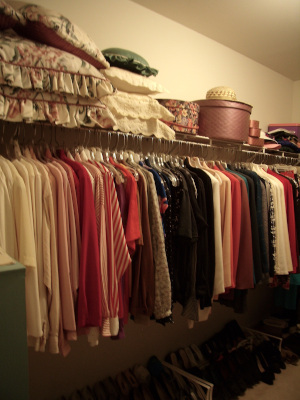 Are your rooms, closets and storage areas so cluttered that you can’t find anything? Do you suffer from CHAOS (can’t have anyone over syndrome)? We live in a society with more options to buy more stuff than ever before! We have Too Much Stuff. Basically, a home is just a container that can only hold — comfortably — a certain number of things. 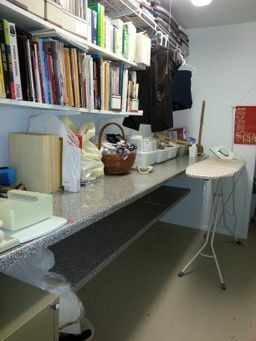 When there is too much stuff, space become unmanageable or even unusable for its intended purpose. It’s time to get organized at home! You’ve tried to get on top of it but you’re not sure how or where to begin. When you tried to “organize,” it didn’t last. Because you didn’t organize. You decluttered, which is just the first step. You need habits, simple systems and tools that work well for you, and regular quick and easy maintenance. Getting organized uncovers buried treasure! Actual discoveries include a diamond engagement ring; $4,850 in savings bonds, $100 bill in a greeting card, bags of coins totaling over $1,000 (same client); a bag of jewelry and a watch worth thousands of dollars (in one session); and more. People hide things for safekeeping but forget where they hid them! Can you imagine how they feel when we discover them? There’s only one place for everything in my home. These are photos of some of the areas. You can have similar results. 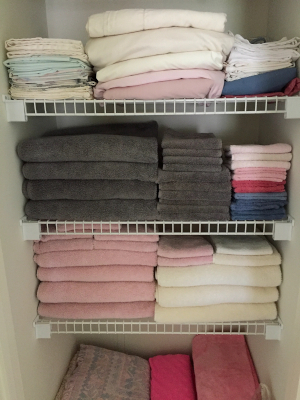 Organization is a learned skill. Organized people learned it somewhere. You can too! Everything is fixable. 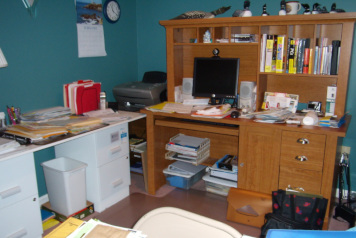 I’ve been organizing homes and home offices since 2000. 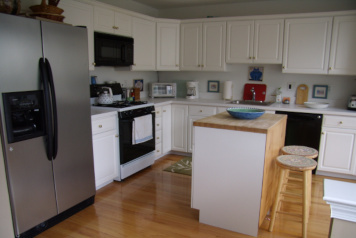 How would it feel if your house looked and functioned just how you want — and stay that way? It can. 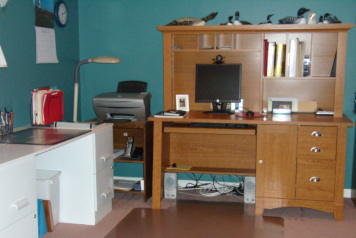 If you have a home office, residential or business, you must be able to work efficiently. 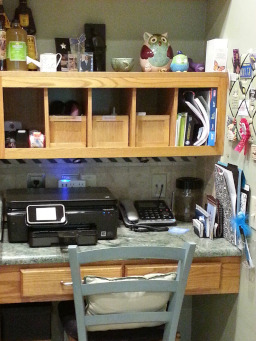 Your desk, papers, digital information, and space should be functional and free of clutter. Organizing offices is my extra-specialty, especially paper management including mail, bill-payment, and filing systems. You will be able to find any paper in 10 seconds or less, 90% of the time, with my super-customized filing systems! Ask me how. 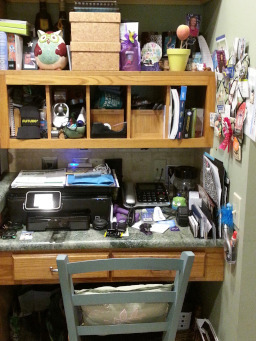 Before Adriane organized my home office,… my entire house was entirely dysfunctional. Now it runs great. 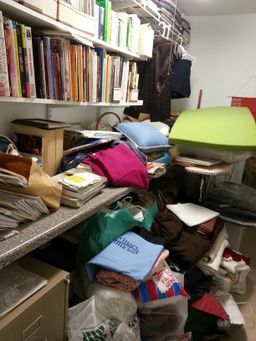 In the past I would be rifling through at least 4 piles to find [a financial statement] and would have gotten extremely frustrated, anxious and tense looking for it. But with my new filing system, I found it in five seconds, saving hours and hours of time and emotional trauma. We accomplished in 6 hours what I’ve been waiting to do for 6 years. Love my office and it works! Confidentiality is assured unless you say otherwise. Clients’ names mentioned herein have given permission. 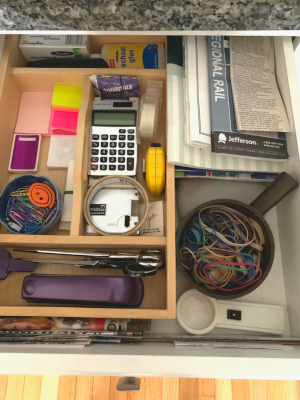 maybe it’s time to work with a professional organizer. Call today for your free, no-obligation consultation.